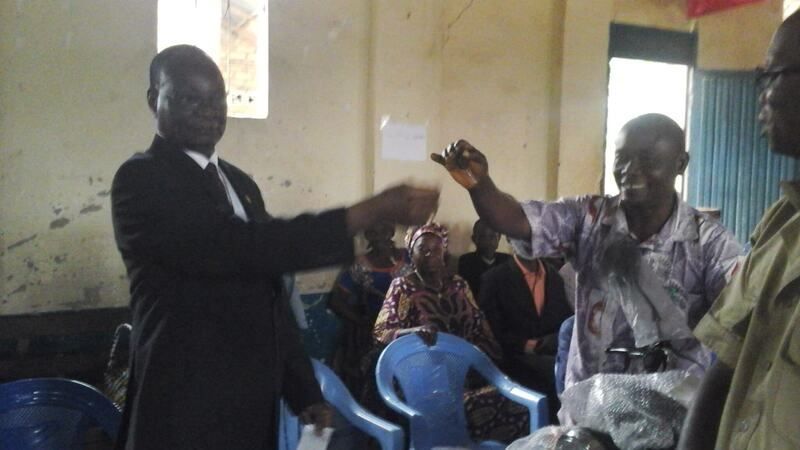 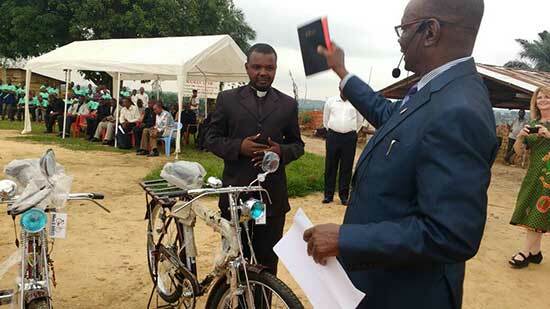 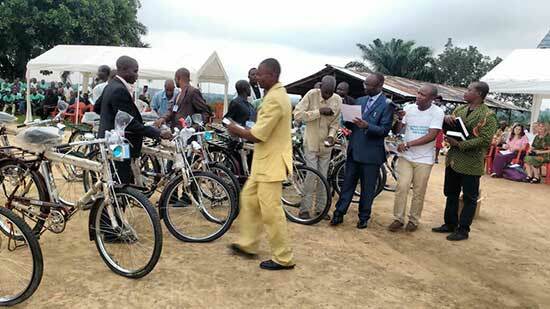 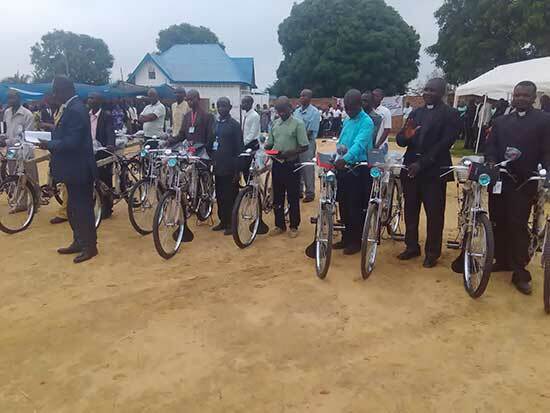 Bishop Unda (blue suite) is awarding bicycles at 2017 East Congo Annual Conference while the Lay Leader, Chief Prosper Tunda (green Jacket) awards the bibles. 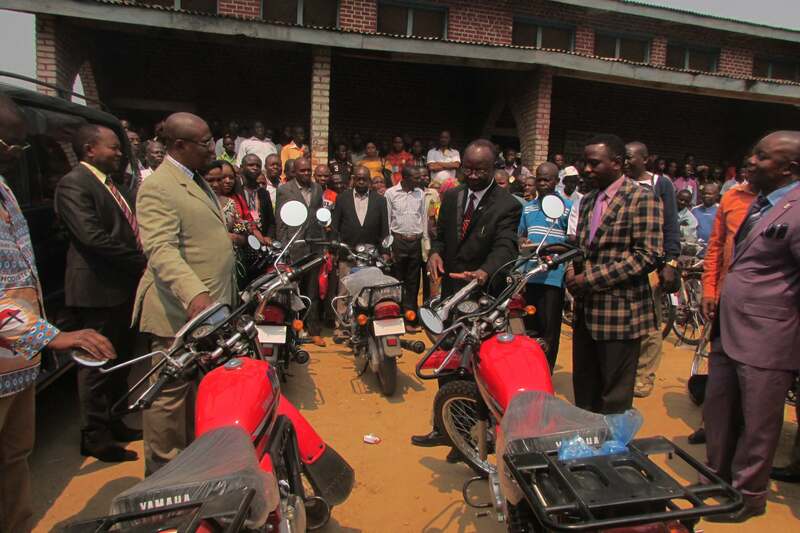 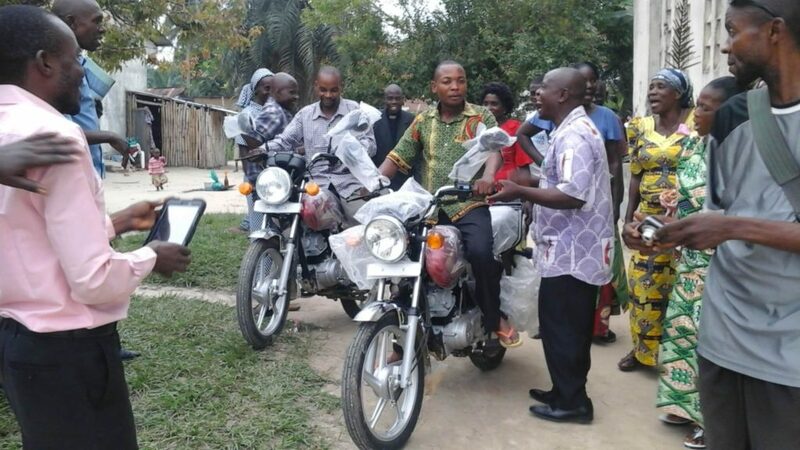 Recipients disburse as the conference is lead in singing at the 2017 East Congo Annual Conference; motorcycles, bicycles, and bibles. 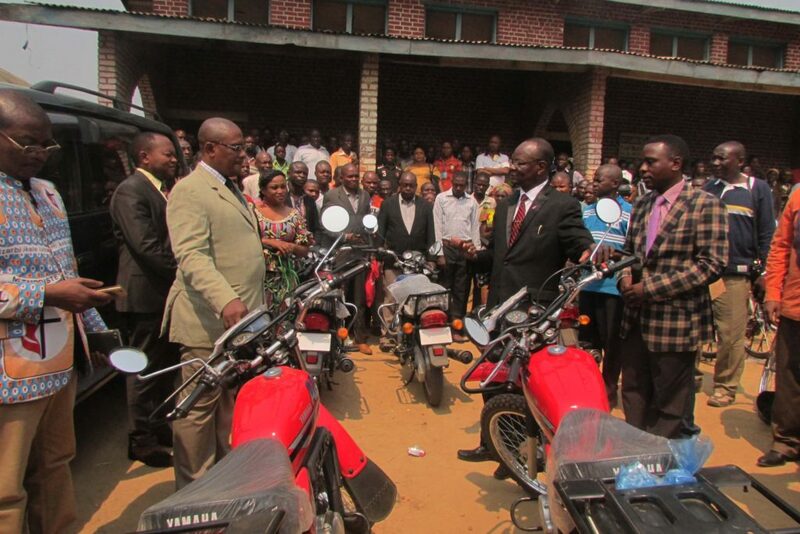 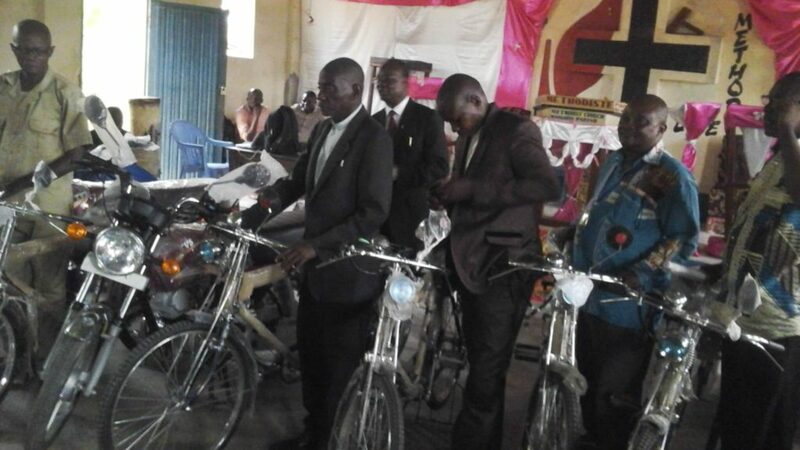 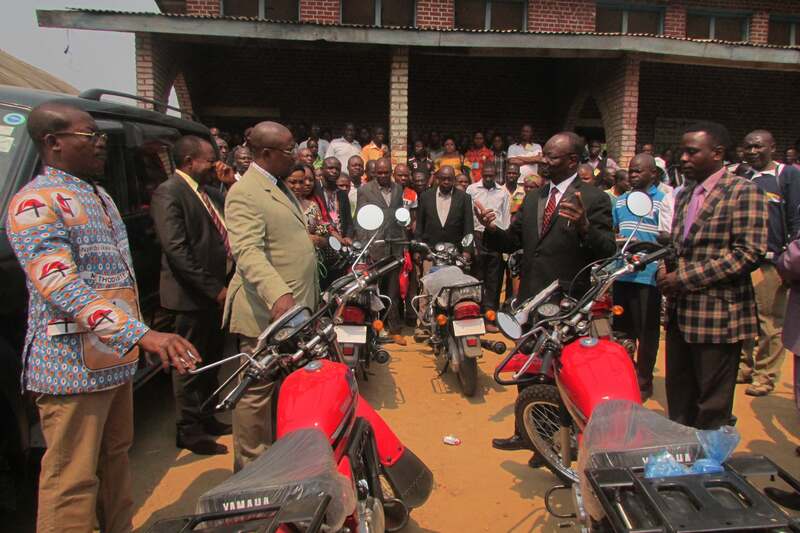 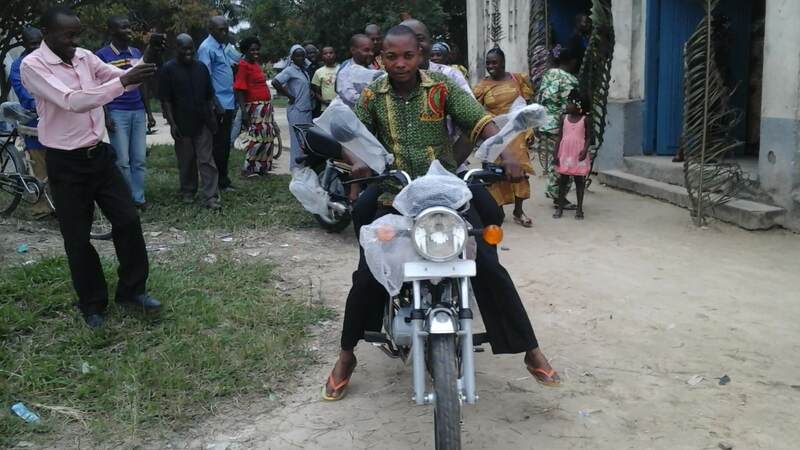 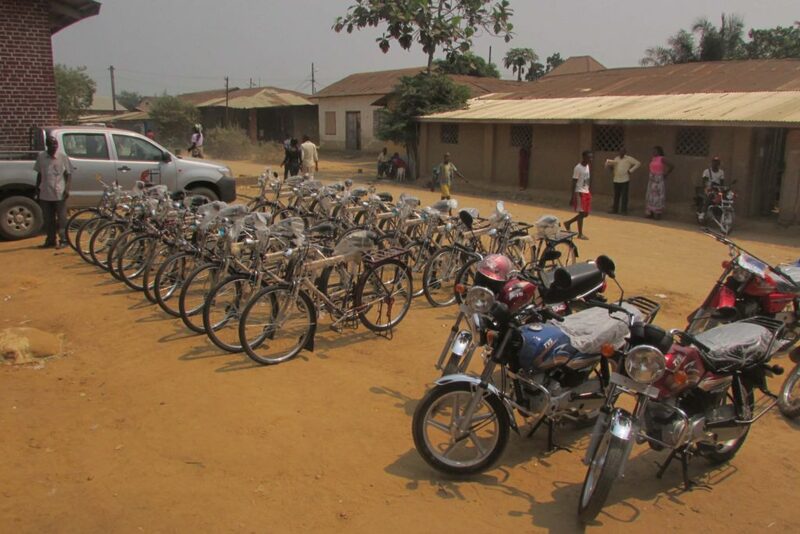 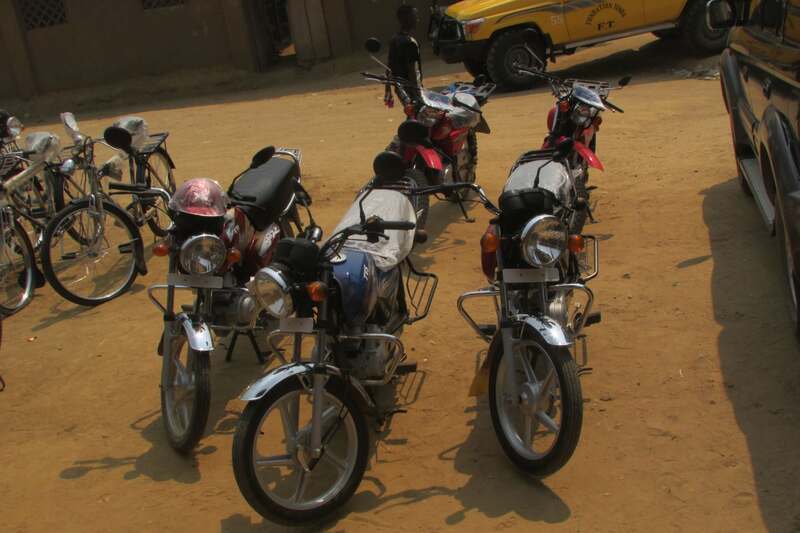 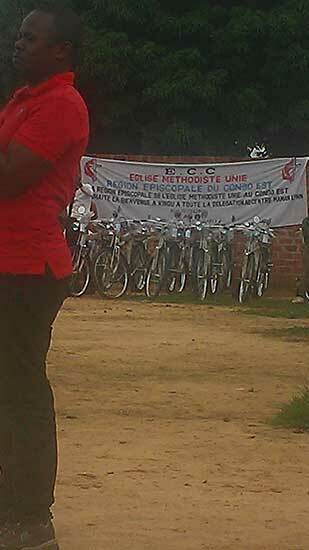 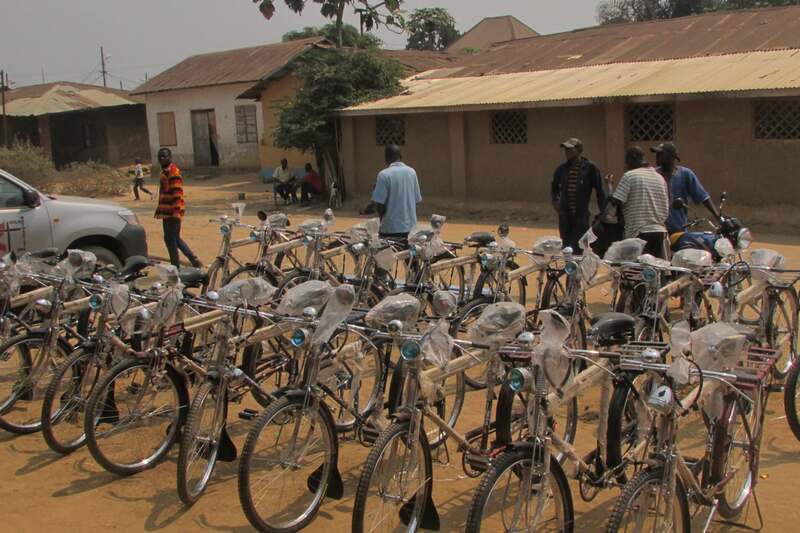 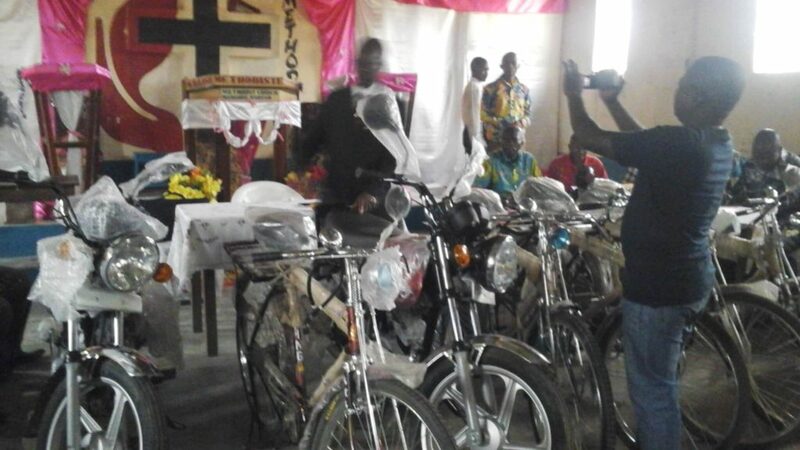 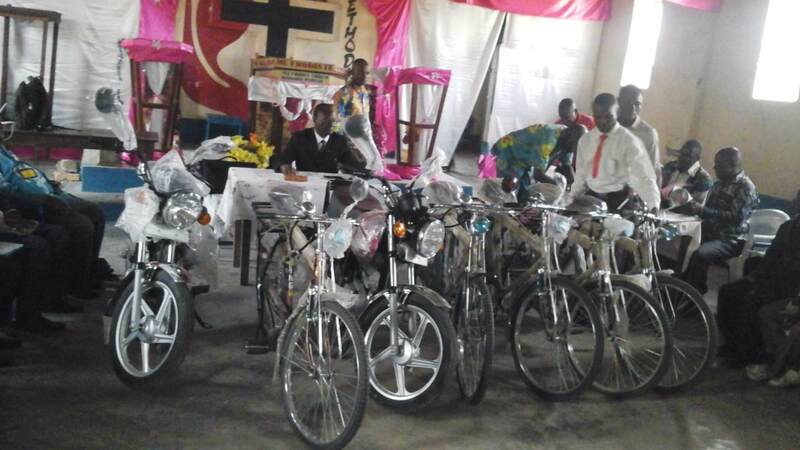 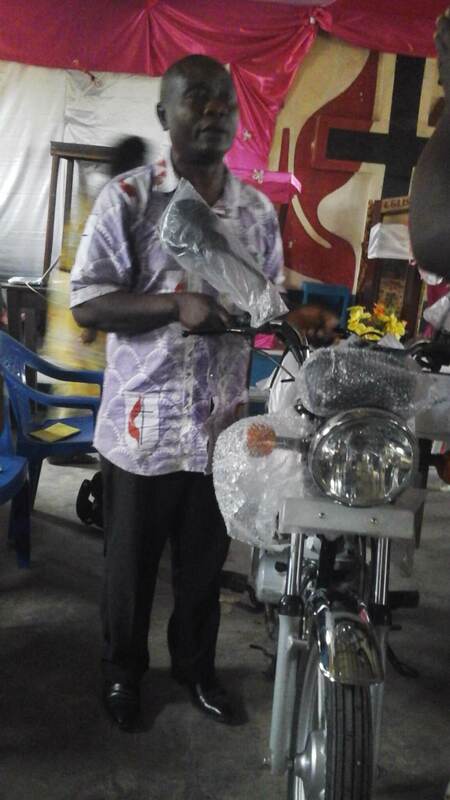 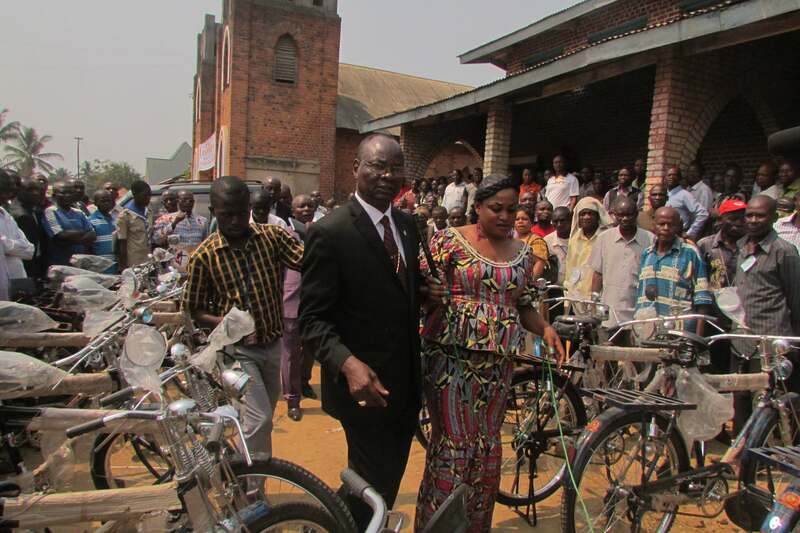 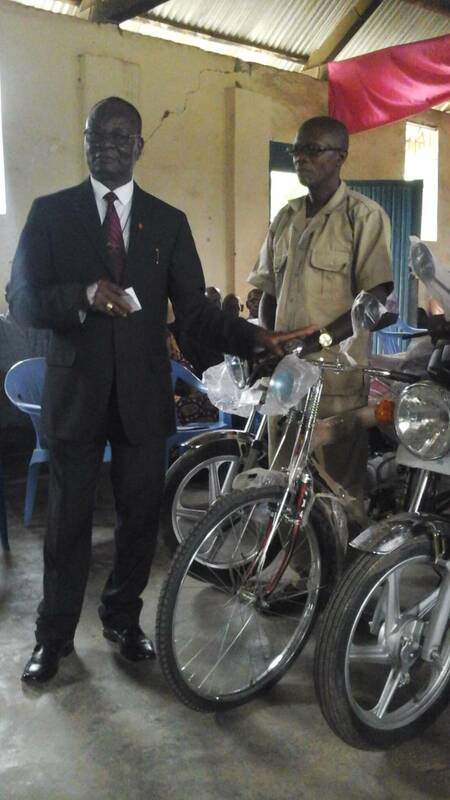 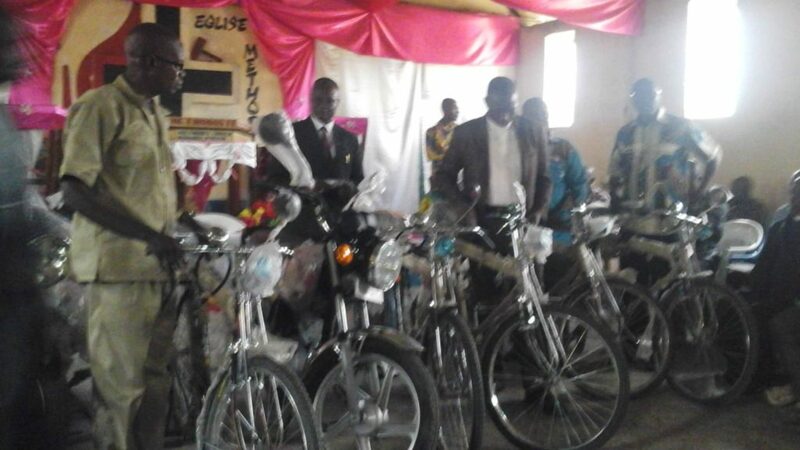 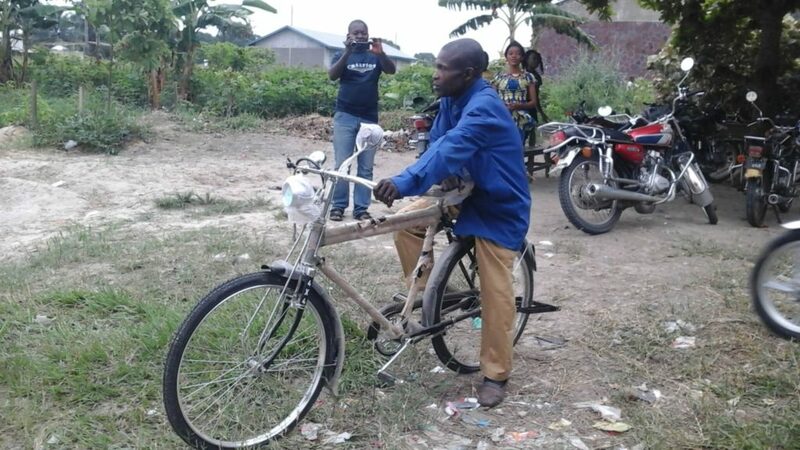 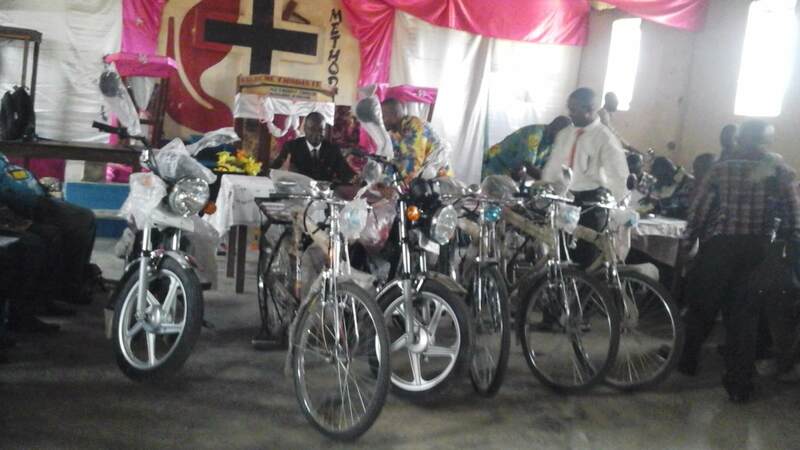 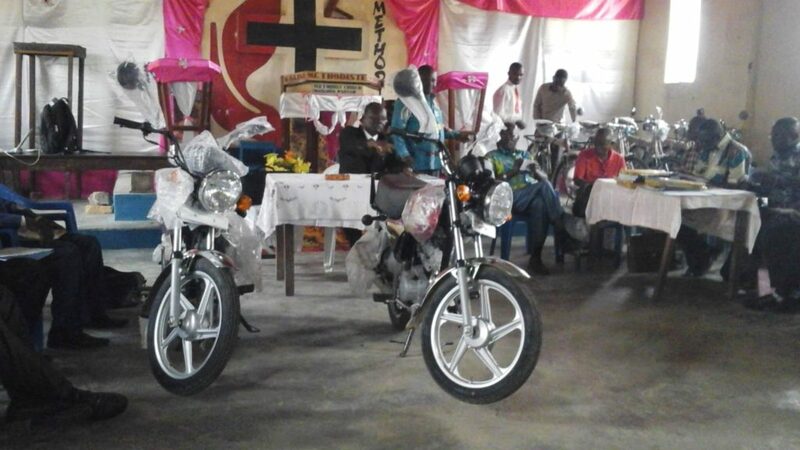 Photos of the 2016 Annual Conferences in the East Congo Episcopal Area, including some photos of Bishop Unda presenting bicycles and motorcycles.